Sleep Lavender Bath Salts packaged in our 2lb designer bag. A therapeutic bath salt for relaxation and promoting a good night's sleep. Also soothes muscle aches and pains. 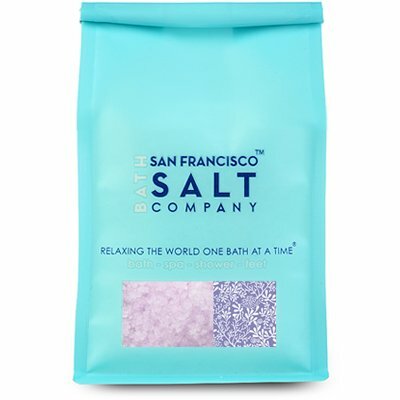 2lb bag features a peek-a-boo window and aroma valve allowing you to see AND smell the bath salts prior to opening. Use as Bath Salts, Shower Salts, Pedicure Foot Soak, or, mix a little salt with your favorite shower gel for a quick body scrub! 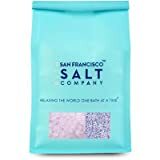 What are some of the other general benefits of bathing with bath salts? The minerals found in sea salt are absorbed through the skin which are essential to the bodies' functions. Bath salts flush out harmful toxins from the body. They also exfoliate the skin, leaving the skin smooth and supple while helping to heal cuts, burns, wounds, and insect bites. They're also a good stress reliever!